Once in a while a eatery came along and you felt that there’s still hope for humanity. Hong Ngek was one of them. Unassuming kopitiam around Central Market in KL, this Hakka restaurant featured down-to-earth cooking and a price to match. 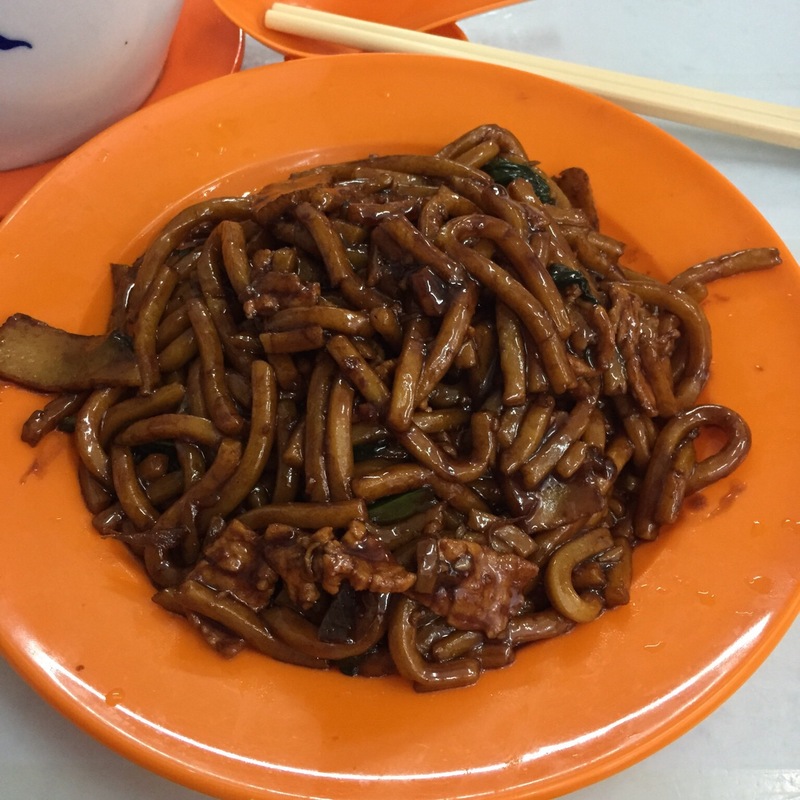 The lunch was RM 14 (US$4) – where to find in Singapore, even Malaysia? 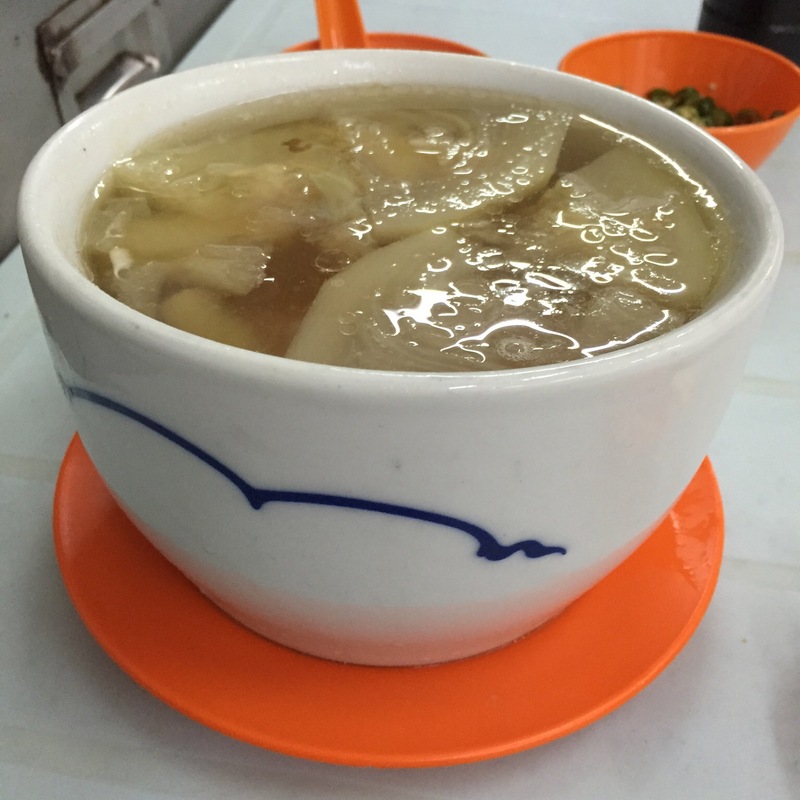 Double-boiled Shark-fin Melon Soup 鱼翅瓜炖排骨汤 – very rich and flavourful, satisfying meal by its own. You just need to order a bowl of rice. No wonder they were surprised when I ordered a Hokkien Mee as well. Hokken Mee KL Style 福建面 – Rich sauce and wok-hei, nice but could not be the best in KL. The portion was just right for one person.